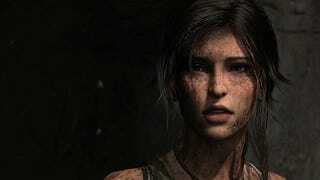 Yesterday, Microsoft dropped the first bomb of Gamescom 2014: that Rise of the Tomb Raider will be an Xbox exclusive. Except, wait. It's not. Turns out this was yet another a case of shady corporate double-speak, and this is actually a timed exclusive. "Yes, the deal has a duration," Xbox boss Phil Spencer told Eurogamer. "I didn't buy it. I don't own the franchise." In other words, when they said yesterday that the next big Tomb Raider game is an Xbox exclusive, what they really meant is that it'll be out first on Xbox (both 360 and One), and then it'll come later to other platforms. Spencer wouldn't elaborate on how big of a window he paid for. "There are certain things I'm just not going to talk about because it's a business deal between us and then. Obviously the deal does have a duration. I didn't buy the IP in perpetuity." As you may have seen, we've just announced that Rise of the Tomb Raider, coming Holiday 2015, is exclusively on Xbox. So again, remember: in gaming, the word "exclusive" never actually means "exclusive." Good work, guys—you infuriated a ton of fans for no reason at all.